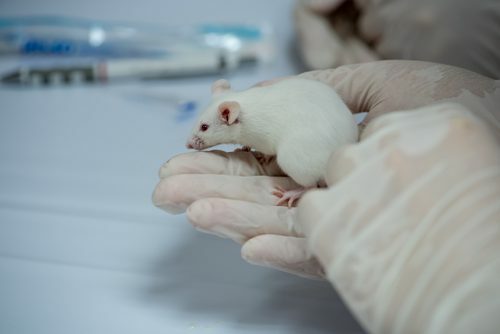 An immune pathway that includes a molecule known as IL-33 and its receptor, ST2, may be key in the development and progression of pulmonary fibrosis (PF), according to new research in mice. The study, “The IL-33 Receptor ST2 Regulates Pulmonary Inflammation and Fibrosis to Bleomycin,” was published in the journal Frontiers in Immunology. Strong inflammatory responses underlie several respiratory diseases, including idiopathic PF. Interleukin-33 (IL-33) is a member of the IL-1 family and also a type of small molecule called cytokine, a protein secreted upon cellular damage which takes part in defending the host and in immune regulation. The ST2 receptor is either present on the surface of cells (membrane-bound ST2L) or shed from cells (soluble ST2, or sST2). The binding of IL-33 to ST2L triggers a pro-inflammatory signaling pathway called the NF-κB pathway, while IL-33 activity is blocked following its binding to sST2. 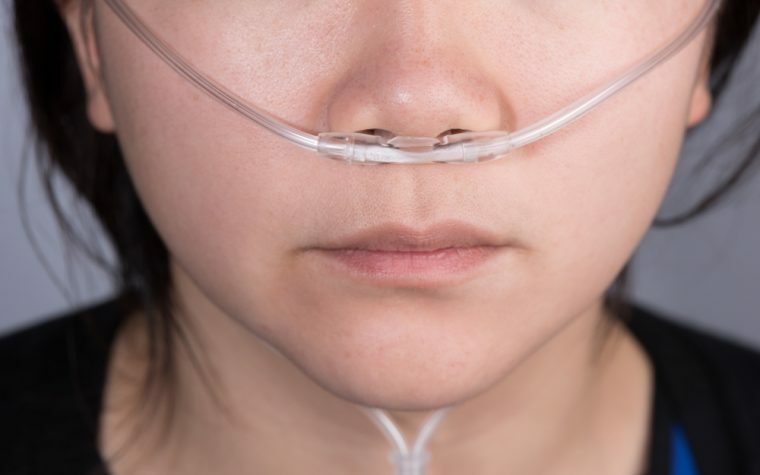 Research has shown that levels of the ST2 receptor are increased in both the bleomycin (BLM) mouse model of PF and in pulmonary fibrosis patients when they have acute flare-ups. Also, genetic approaches delivering sST2 improved the survival rate, reduced weight loss, and markedly eased the infiltration of inflammatory cells, fibrotic changes, and the levels of IL-33 in the airways of mice after the onset of pulmonary fibrosis. In addition, increased production of ST2 before administration of bleomycin reduced the initial acute lung injury, but promoted lung fibrosis, while sST2 suppressed the initial stage of bleomycin-induced lung injury. Although studies have suggested that an increased concentration of sST2 in the blood may be a biomarker of IPF and that IL-33 may have pro-inflammatory and pro-fibrotic effects, the role of IL-33 and ST2 in pulmonary inflammation and fibrosis remains unclear. Therefore, scientists used immunology methods as well as magnetic resonance imaging (MRI) in the bleomycin mouse model. One day after bleomycin was administered (to induce PF in the mice), the investigators found that mice with ST2 genetically removed had increased recruitment of inflammatory cells, especially neutrophils, as well as enhanced levels of pro-inflammatory mediators known as chemokines and other molecules in the bronchoalveolar space (which means the bronchi and the alveoli — the lungs’ tiny air sacs) or in the lungs. “We show for the first time that ST2 deficiency leads to acute exacerbated pulmonary inflammation,” the team wrote. On day 11, mice lacking ST2 showed a decrease in lung remodeling (structural alterations) and fibrosis, with reduced levels of the activated form of immune cells called macrophages in the lung. The data also revealed that while pulmonary cellular inflammation was reduced, edema (the retention of fluids) increased. Using MRI, the team found a rapid development of edema in the lungs of mice on day seven, which was increased in the absence of ST2. The data demonstrated that the cytokine IL-6 promotes a shift from pro-inflammatory (M1) to anti-inflammatory and pro-fibrotic macrophages (M2), which is dependent on IL-33/ST2. Levels of IL-33 were elevated through acute and chronic inflammation. Mice lacking ST2 also exhibited attenuated deposition of collagen — the main component of the extracellular matrix, which provides support to cells and is involved in the development of fibrosis — and eased symptoms of PF. “Our data are novel, showing early prolonged, unresolved inflammation in absence of ST2 and that IL-33 is an important profibrogenic cytokine,” the researchers wrote. The team suggested that regulation of the IL-33/ST2 pathway may ease PF symptoms and boost recovery in patients. Tagged fibrosis, IL-33, Inflammation, Macrophages, mouse model, MRI, ST2. Please take my email off your list.